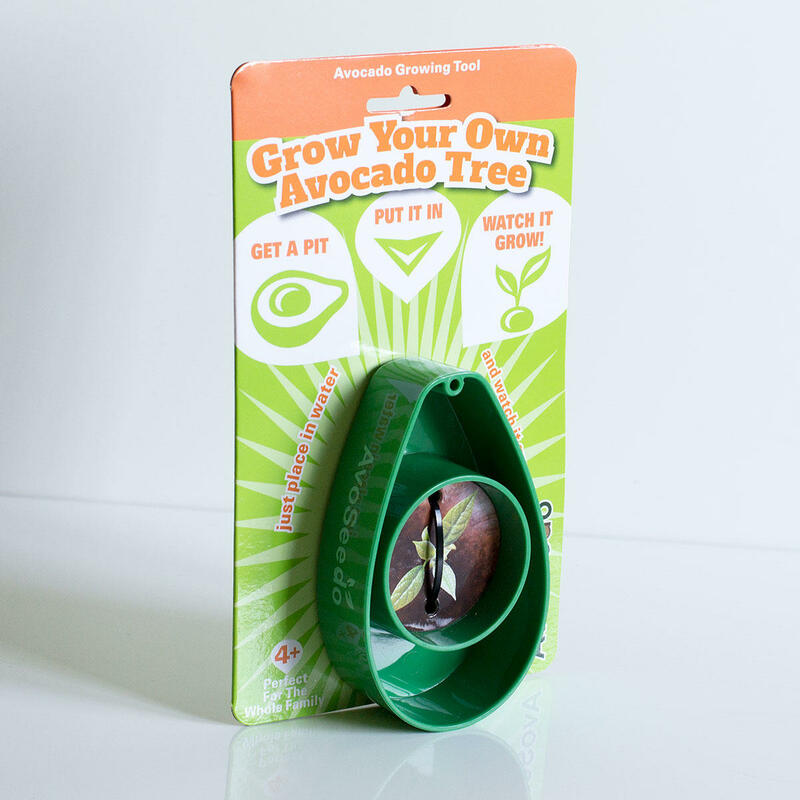 Growing your own tomatoes is so last century. 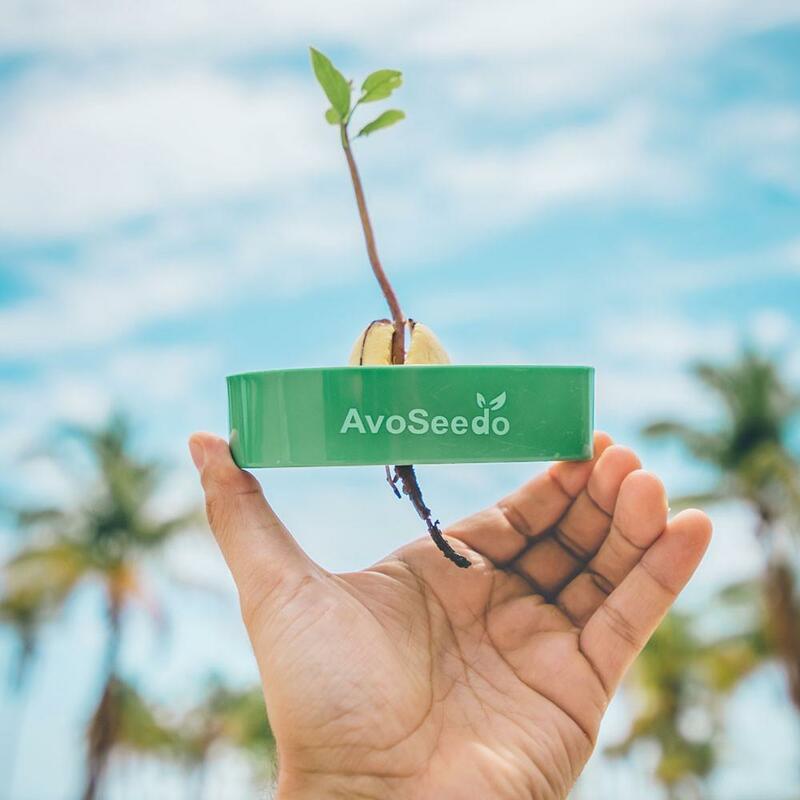 Keep up with the times and grow avocado trees, and there's no easier way to do it than with AvoSeedo. 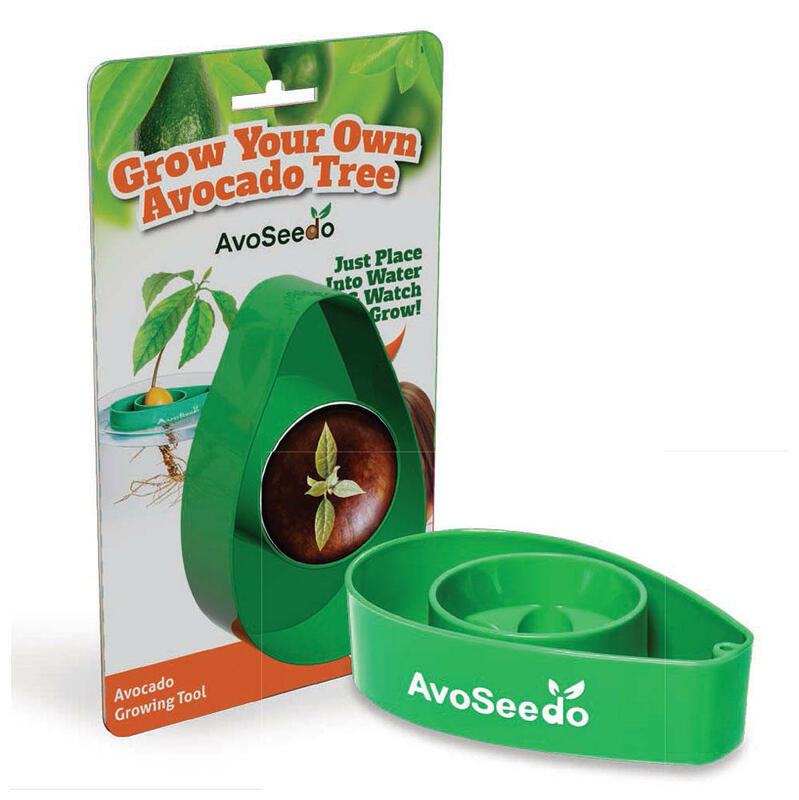 Next time you eat an avocado, keep hold of the stone in the middle. Carefully peel the skin off the stone, then place flat side down in AvoSeedo. 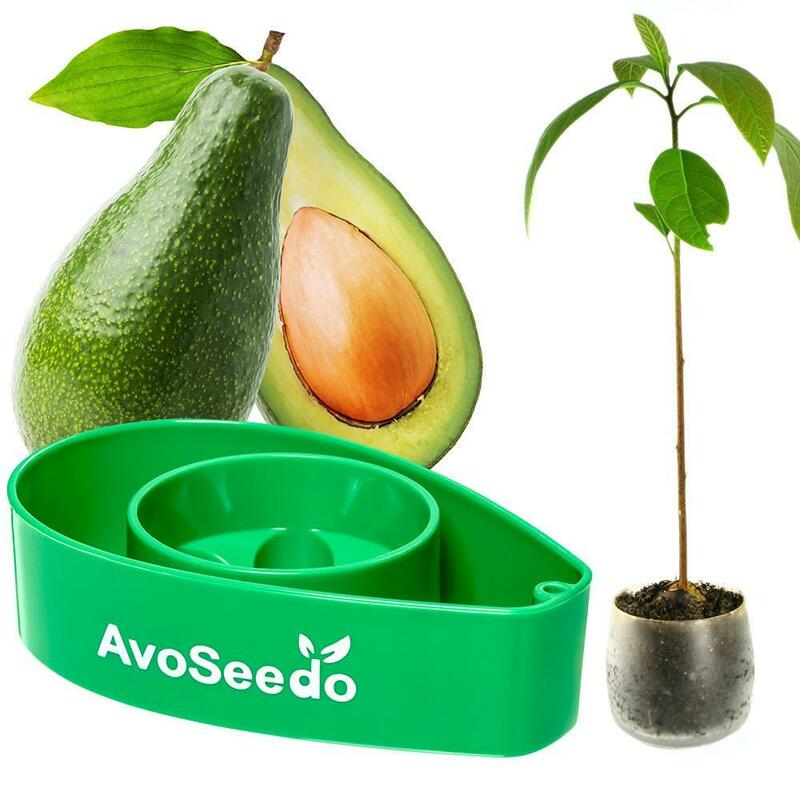 Place both the stone and AvoSeedo in a bowlful of water. 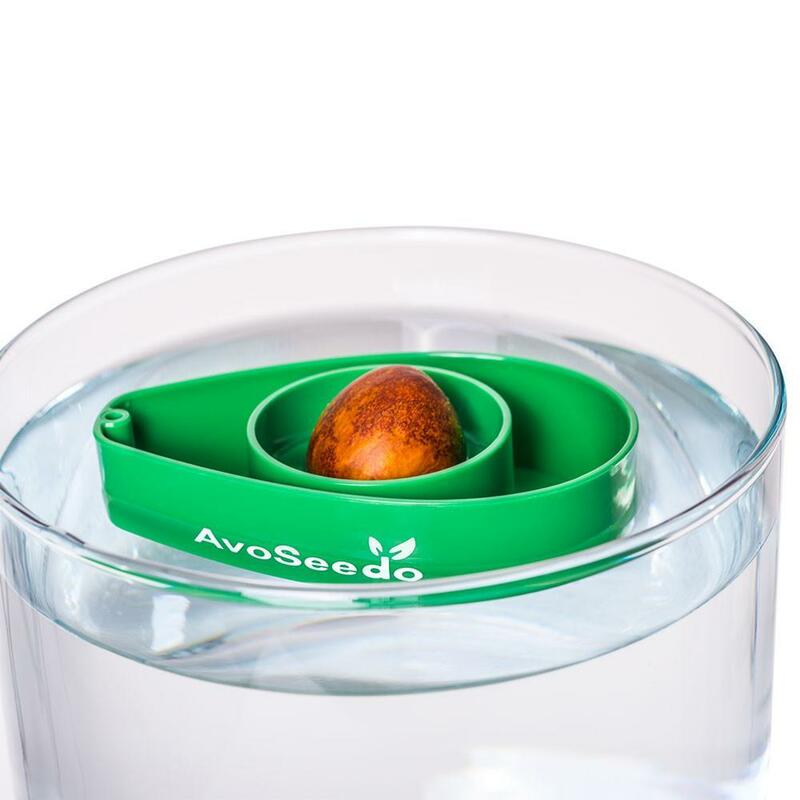 This effective contraption keeps the stone suspended on the water, providing optimal conditions for your avocado stone to germinate. Just leave it floating on the water. 3 months later you'll see the stone start to root down. Shortly after it will spout up. 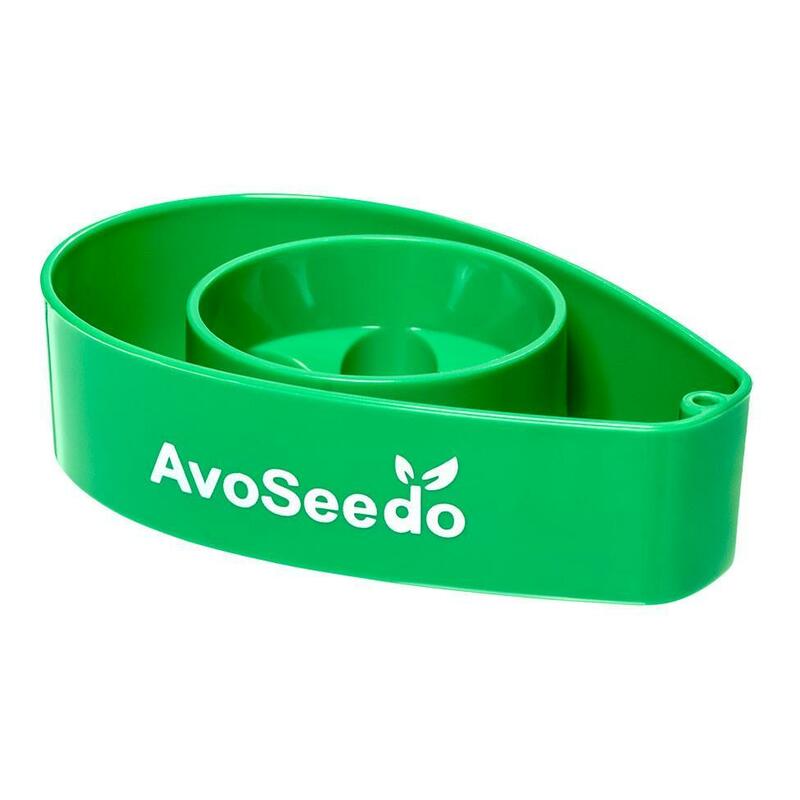 Once there are leaves, transfer from the bowl of water into a traditional soil filled pot. We said it was easy. 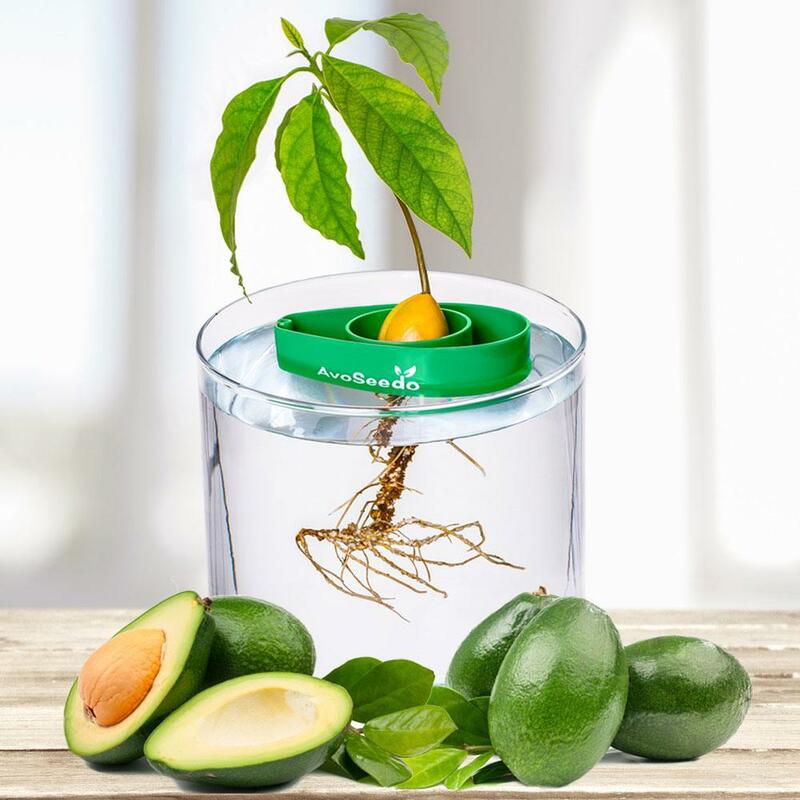 Now you have an avocado plant, which you can nurture into a tree.